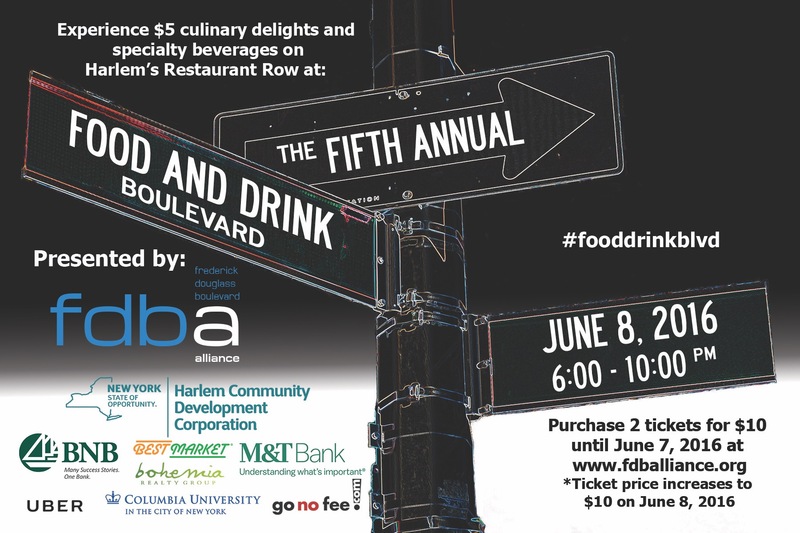 Annual Harlem Food & Drink Event set for June 8 | HarlemGal Inc. This entry was posted in 110th Street, 116th Street, 125th Street, Aloft Harlem Hotel, Angel of Harlem, bier international, business, Cafe Frederick Harlem, food, Frederick Douglass Blvd., Frederick Douglass Circle, Harlem, Harlem bloggers, Harlem blogs, Harlem businesses, Harlem Restaurant Row, Harlem restaurants, Harlem Shambles, Harlem Tavern, HarlemGal, Lido Harlem, Lido Italian Restaurant and Bar and tagged 67 Orange Street, angel of harlem, Best Market, Bohemia Realty Group, Columbia University, GoNoFee.com, Harlem Burger Co., Harlem Community Development Corporation, Harlem Food Bar, Harlem Tavern, HarlemGal, Hop House Harlem, Jado Sushi, L Lounge, lido, LoLo’s Seafood Shack, M&T Bank, Mess Hall, Row House, Silvana, Streetbird, VinateriaBridgehampton National Bank. Bookmark the permalink.